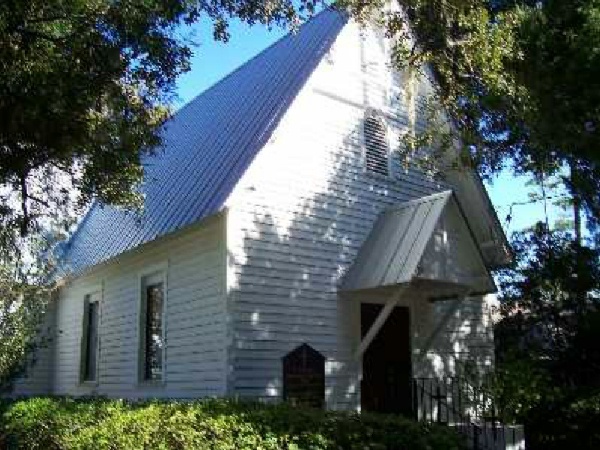 St. Ignatius Church was built in 1886 for the former slaves on St. Simons Island. It was rebuilt in 1898 after destruction by a hurricane and was rotated 90 degrees on the current site at that time. The church was built with heart of pine and oak. The interior wood has never been stained, but its appearance has changed due to the process of aging. The Altar rail is hand-carved. The Lectern, Bishop�s chair, Priest�s chair, and Baptismal font were all donated by Lovely Lane Chapel. The stained glass windows behind the Altar were made in Philadelphia by the Willet Company. The hand depicts God the Father, the lamb depicts God the Son, and the dove depicts the Holy Spirit. The candlesticks on the Altar were brought from England in 1858. The bell was installed in the 1980's and is from the WWII Liberty Ship Henry Wynkoop. The reed organ was built circa 1900 and installed at Christ Church, Frederica in 1933. The original hand pump is still intact and the pipes are merely decorative. For years, the windows in the Church were translucent, jalousie-panel glass. Ten new stained glass windows were designed in 2000 by M.B. Keys, a parishioner of Christ Church Frederica, and made by the Wippell Company of Exeter, England. The Rt. Rev. Henry I. Louttit, Bishop of Georgia, blessed the new windows April 29, 2001. 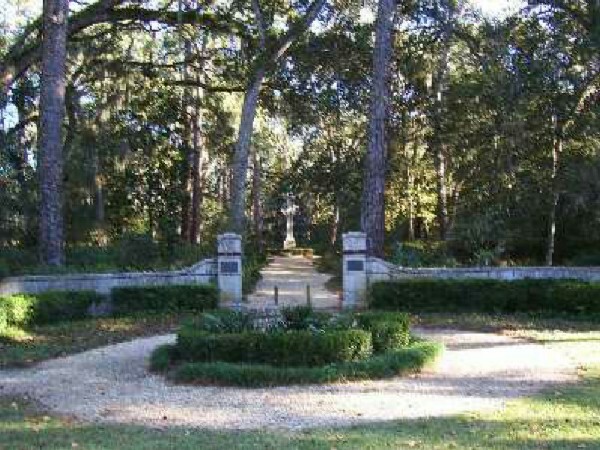 Musgrove Plantation was built in the 1930�s by Nancy Reynolds Bagley, daughter of tobacco titan R.J. Reynolds and an heiress to the family fortune. Musgrove was named after Mary Musgrove, born Cousaponakeesa, who was half Creek Indian and acclaimed as the Pocahontas and Sacagawea of the South. Mary Musgrove acted as cultural liaison between colonial Georgia and her Native American community dating back to the early 18th century. Musgrove Plantation boasts nearly 1,000 acres of primarily preserved natural splendor, including 400 acres of marshland between Brunswick and St. Simons Island. 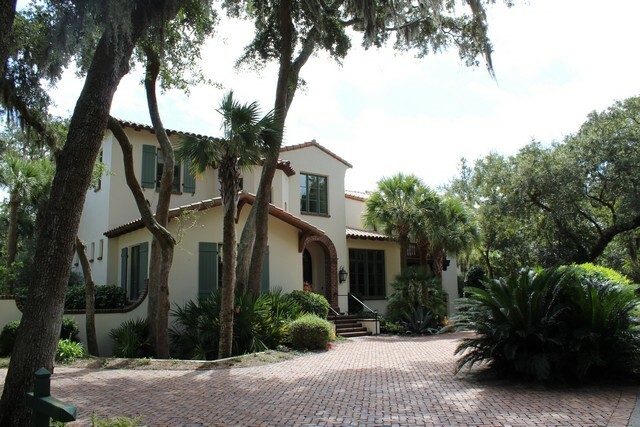 The six residences were designed in the old �Low-Country� style. 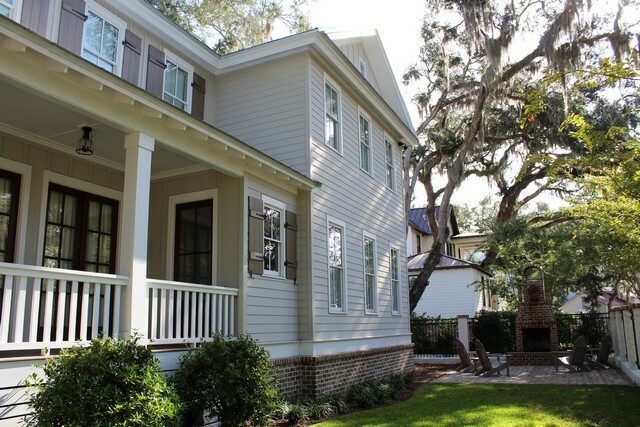 Heavy use of tabby and cypress along with old Savannah gray brick emphasize the under-stated rustic elegance of the property. The Village Creek Cemetery lies on the east side of the property where only the descendents of slaves are permitted to rest along with their ancestors. Mrs. Reynolds passed Musgrove Plantation down to Smith Bagley, her son, and Mr. Bagley was buried at this historic site upon his passing in January 2010 with special dispensation given by those families. Musgrove�s primary use is for conferences on a variety of cultural and political topics. The conferences began when President Jimmy Carter, upon election to office, assembled his first full Cabinet meeting at Musgrove. To date, this is the only time a complete cabinet meeting has ever been convened outside of Washington, D.C. Directions: Take Frederica Road north towards the round-about with Lawrence Road. 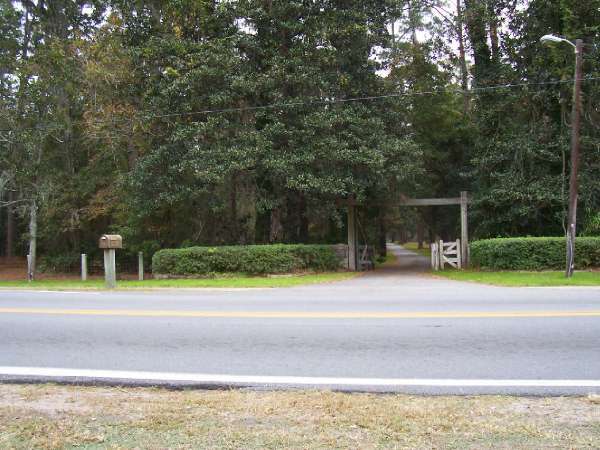 Just before the round-about, Musgrove Plantation is on your right at 5720 Frederica Road. 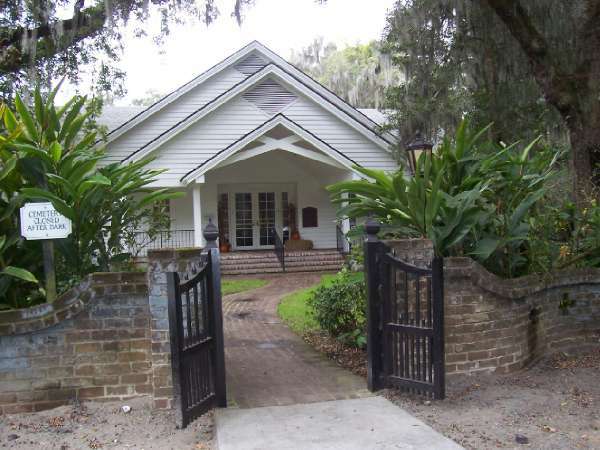 The parish house of historic Christ Church serves as tour headquarters for the 55th Annual Tour of Homes and Gardens. Worship in the church has been continuous since 1736. The present church building is cruciform in design with trussed Gothic roof and stained glass windows. Docents will be stationed at the church all day on March 15th and we invite all visitors to step over and visit with us and then continue on to the beautiful Wesley Gardens directly across the street. Tea sandwiches, cookies and drinks are offered to our guests by the gracious ladies of the church. We invite you to purchase one of our fabulous cookbooks. As a remembrance of the tour, a token of friendship, or simply an addition to a growing cookbook collection, The Christ Church, Frederica Cookbook encompasses the same quality, beauty and history visible in its namesake. The tour headquarters will make a comfortable stopping place during the day and restroom facilities are available. Christ Church had its beginning when General Oglethorpe came to St. Simons Island in 1736 to build the fort and town of Frederica. He brought with the soldiers and settlers, an ordained clergyman of the Church of England, the Reverend Charles Wesley, in order that the colony might have the services of the church from its start. The Board of Trustees ordered a chapel to be built and had three hundred acres of land set aside for the support of the minister and the church. It is on some of that land that Christ Church stands today. In 1884, the remains of the old church were torn down, and the present building was erected on this site in 1886 by the Reverend Anson Green Phelps Dodge, Jr., in memory of his first wife, Ellen Ada Phelps Dodge. Sunday services are held at Christ Church, Frederica, at 8 am, 9:15 am, and 11:15 am. Weekday evening prayer is held at 5:00 pm daily and Holy Eucharist is celebrated at 11:30 am on Friday. Consult the church website at www.christchurchfrederica.org for more details. Established in 1986 to commemorate the ministries of John and Charles Wesley, the Wesley Memorial Gardens offer a calm retreat on Tour Day. Dedicated in 1988, the two acre garden has as its focal point an 18-foot high Celtic Cross, sculpted from Georgia granite. Gravel paths wind throughout the natural setting, which has been impeccably landscaped to showcase some 60 varieties of 4,000 azaleas and other native shrubs. Directions: Take Frederica Road north towards the round-about with Lawrence Road. Travel north on Frederica Road from the round-about. The Church will be on your left in approximately one mile. The Gardens are across the street from the Church.